"Blue Dream" features a yellow and blue monoprint background that looks like a hazy field of flowers. 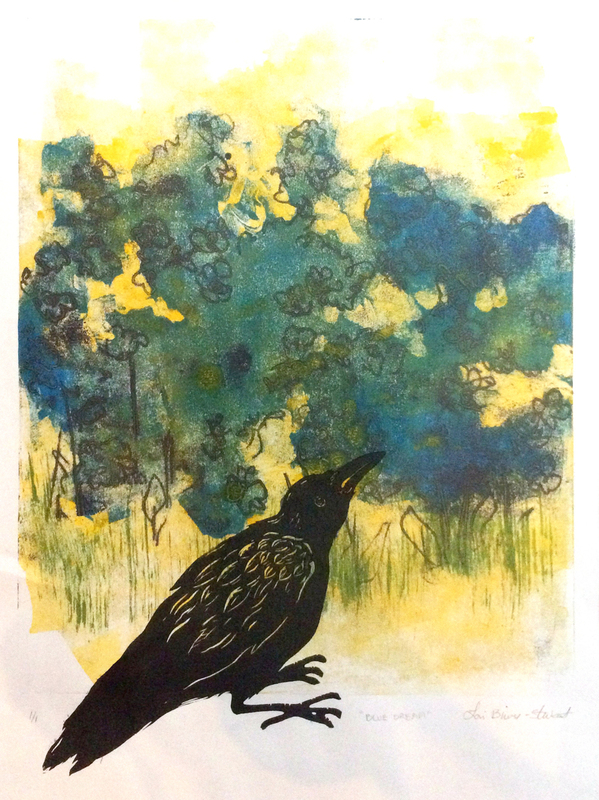 The crow is a linocut print. The colors in this print turned out beautifully. This piece is unframed and unmatted, mounted on archival foamcore and mailed in a plastic sleeve for protection.